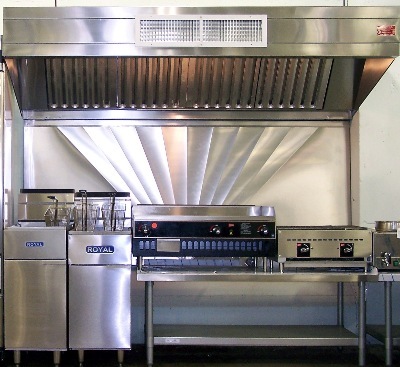 A commercial kitchen, whether it’s in a restaurant, cafe, club, or hotel, can sometimes look clean when it’s not.You know that health Inspection or a Fire Inspection could happen at any time. 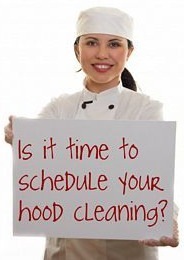 Is your commercial kitchen and your exhaust ducting systems clean enough to pass? If your staff are following a suitable standard restaurant kitchen cleaning schedule, then your commercial kitchen should look clean. But your staff can only clean what they can see. Most of the real health and fire issues can’t be seen. It’s the buildup of grease, fat and oil that ends up inside your exhaust system that's the real problem. With most restaurant fires starting in the kitchen, a quality, regular and complete cleaning of your exhaust system is of paramount importance. The Pressure Washing Guys is the company to trust with your cleaning needs. Our professional, timely, courteous trained personel follow all local and national fireguidelines to ensure a quality, safe and virtually “No-mess” experience. Professional, Courteous and efficient customer service associates.